When you’re young it’s easy to believe you’re invincible and that accidents and injuries are things that only happen to other people. However, when kids play a contact sport such as football, there’s a very real risk of injuries that can affect them for the rest of their lives. Of the more than one 1 million players who participated in 2011, two high school football players died as a result of football-related accidents. However, non-fatal back and neck injuries are far more common. Chiropractors suggest that many of these injuries can be avoided by educating football players about how their spine works and which positions to avoid during play, especially when tackling. 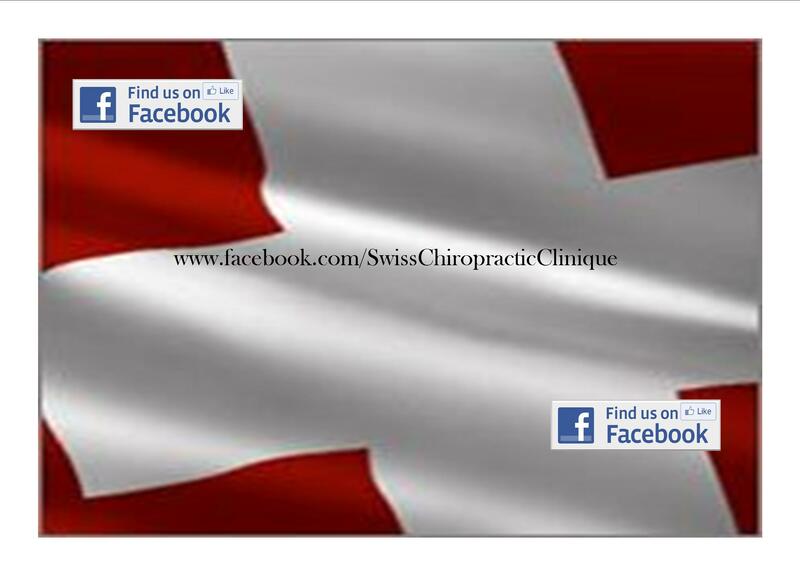 Many professional teams even employ their own chiropractors to help prevent and treat injuries. The majority of serious football injuries are caused by compression of the cervical spine (neck). When players collide during a tackle, the amount of force felt by both players is considerable. However, if a player drops his head before impact, the collision is felt much more keenly, as the flexing of the cervical spine reduces the natural properties of shock absorption in this part of the upper back. Keeping the head up can dramatically reduce the number and severity of neck injuries in young players. Avoiding direct head (helmet) contact with an opponent is also an important part of staying safe and minimizing impact on the neck and upper back. In addition to good tackling mechanics, warming up and cooling down before and after a game is as important in football as it is in other sports. Muscles that have not been warmed up and stretched before a game are far more likely to strain or tear on exertion. Similarly, cooling down exercises prevent sharp contractions of over-exerted muscles. All good coaches will teach this to their players from a young age. Conditioning muscles through gym workouts is an important part of most sports. However, there may be a tendency in football for trainers and players to pay special attention to areas of the body that improve performance (such as the legs and upper body) while neglecting the more vulnerable muscles of the neck region. Neck strengthening is an excellent way of reducing the chance of a serious cervical injury, as the muscles will be able to absorb more of the impact of a collision. This is even more true if the player’s head is kept up, as noted above. 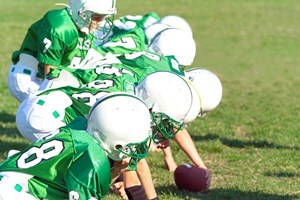 Several chiropractic organizations have taken a lead in educating football teams and players at the high school level and beyond to reduce the risk of head, neck and back injuries. Some chiropractors provide free advice to teams and even produce posters and educational messages to post in locker rooms as a natural extension of their chiropractic care in the community. A good ongoing relationship between local chiropractors and high school football teams provides a firm basis for educating young athletes about the importance of spinal health, proper preparation and good playing mechanics. Many of us may remember the physical education classes we were required to take when we were in elementary school. It was a familiar sight to pass by the gym door and see students doing sit-ups, push-ups and squat-thrusts. Things are changing. First implemented in 1966, the Youth Fitness Test given to each student was meant to measure physical ability relative to his or her peers. Shellie Pfohl is the executive director of the President’s Council on Fitness, Sports and Nutrition. 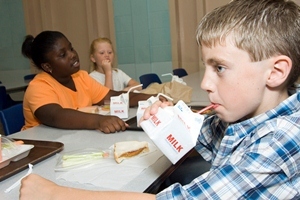 According to Ms. Pfohl, “By design, the old test compared kids against each other, so by design 50% failed.” In addition, the test provided little information on the student’s actual level of health. The test has recently been given a major overhaul, and the new Presidential Youth Fitness Program has been revised to promote exercise as a means of achieving good overall health. Why the change? Rates of chronic disease are growing rapidly, and lack of exercise is a major contributor to the problem. “What is really apparent is that we have an obesity epidemic in our country, so we feel like we now need to focus on health versus athletic performance,” says Pfohl. Under the new program, youth are now evaluated by taking the Fitnessgram(r) test. The test is scored according to five criteria: body composition, muscle strength, muscular endurance, cardiovascular fitness or aerobic capacity and flexibility. The Fitnessgram(r) uses a skin-fold test to measure body composition (the amount of body fat in relation to weight and height, also referred to as BMI). It uses push-ups, modified pull-ups and curl-ups to measure muscle strength. Aerobic capacity is measured by a PACER (Progressive Aerobic Cardiovascular Endurance Run) test. 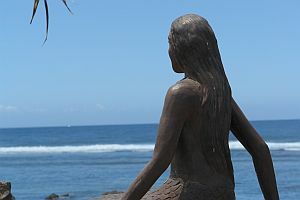 Finally, the sit-and-reach test measures flexibility. 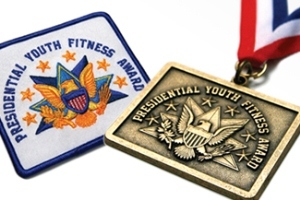 When students score within the Fitnessgram(r) Healthy Fitness Standards in five out of six events, they are eligible for a Presidential Youth Fitness award. Those who score below these standards will be given information about the health risks associated with scoring low in the designated areas and will be instructed on ways to achieve better physical fitness.